There are areas of the country more prone to natural disasters than others. The mid-section is tornado alley and the east coast and south have hurricanes while the west has the earthquakes and mudslides. When disaster strikes millions of people are affected at home and work with loss of water and electricity from millions of homes and businesses while floods, fallen trees, and debris closes off roads, hindering transportation. Attempting to recover from these natural disasters without a plan is almost a disaster in itself. How long would it take to get your business back up and running after a big storm hits? 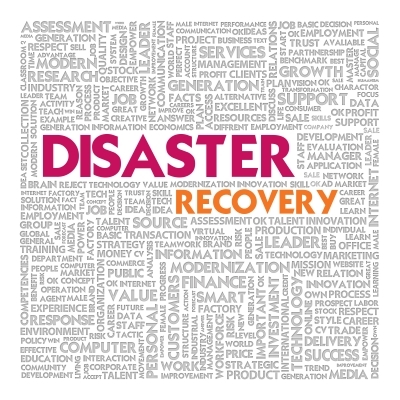 If you don't think you need a disaster recovery plan, think again! The Small Business Administration estimates that almost 25% of small businesses don't reopen after a natural disaster. Businesses that have plans for how to handle a natural disaster are able to bounce back after the disaster and reopen their doors sooner than businesses that don't plan ahead. Plan to restore critical functions within your business as soon possible. This includes knowing who to call in order to rent a generator for electricity,rent portable air conditioners to keep both the interior of your business cool and keep computer equipment from overheating and renting heaters to warm your mobile command units. Know how to secure your property and make sure you keep a copy of important documents off site. Make sure that your business's assets are protected and know how to contact your insurance company. Review how to document damage and report it to the proper authorities. Have a communication plan. Make a list of employee's email addresses and home phone numbers so you can check on staff and see if they are able to work. They'll want to know the status of the business, too, so make sure you communicate with them early and often. Resume business as quickly as possible. People will understand if you have windows boarded up, and employees will understand that they may be working under less than ideal conditions for a while. Reopening your business will help get the financial wheels moving again and help get your community back on track. It’s also recommended that businesses keep a list of trusted vendors they can call to help them clean up and open their doors again as soon as possible. Add AirPac to that list! We'll help you get the climate solutions you need to keep your business moving forward. Get the portable heaters and air conditioners you need after a natural disaster by visiting our website or giving us a call at 888-324-7722. Or you can download our Specs at a Glance here.